The title of International Van of the Year 2019 has been awarded to four vans, which are basically similar. 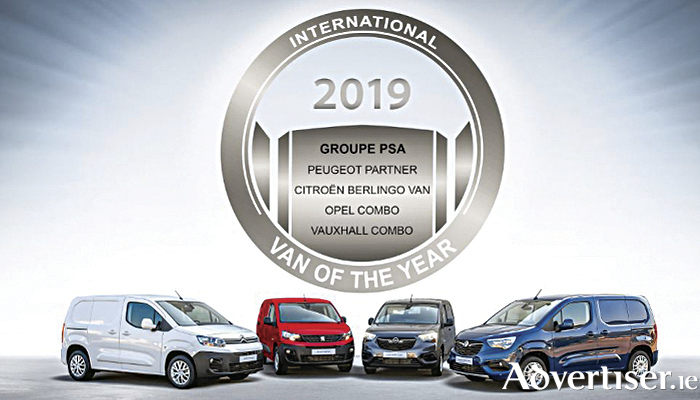 The Groupe PSA’s Citroen Berlingo, Opel Combo, Peugeot Partner and Vauxhall Combo were announced as the joint winners by the jury at the IAA Commercial Vehicle show in Hanover recently. Three of these models will go on sale in Ireland early next year, with the Vauxhall Combo available in Northern Ireland, instead of the Opel version. Because these vans are not available here until 2019, they will not eligible for the Continental sponsored Irish Van of the Year 2019 award, which will be announced in Dublin on November 8.